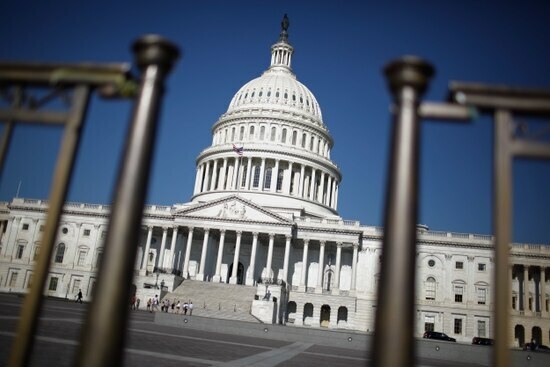 WASHINGTON — The Senate on Aug. 1 confirmed eight Department of Defense nominees, providing a sizable staffing boost to the Pentagon after a protracted congressional stalemate. Among those confirmed by a voice vote after Senate Republicans and Democrats reached an agreement were Richard Spencer, the new Navy secretary; Ellen Lord, the new under secretary of defense for acquisition; and Lucian Niemeyer and Robert Hood, both assistant secretaries of defense. The move immediately doubles the number of Senate-confirmed nominees for the Pentagon, which saw only seven other defense officials successfully navigate the process since January. They had been slowed by Senate Democrats using parliamentary tactics against nearly all of President Donald Trump’s nominees, in protest of Senate Republicans’ handling of the recent health care debate. With that issue sidelined for now and a congressional recess looming, the minority party lifted their blockade this week. Spencer, a former Marine pilot and career investment banker, sailed through his confirmation hearing in July. He is a former member of the Pentagon’s Defense Business Board and has worked in a number of financial sector jobs, and recently served on the Chief of Naval Operations Executive Panel. During his confirmation hearing, Spencer raised the ire of some on Capitol Hill, who thought he was too soft on committing to the Navy’s 355-ship goal. 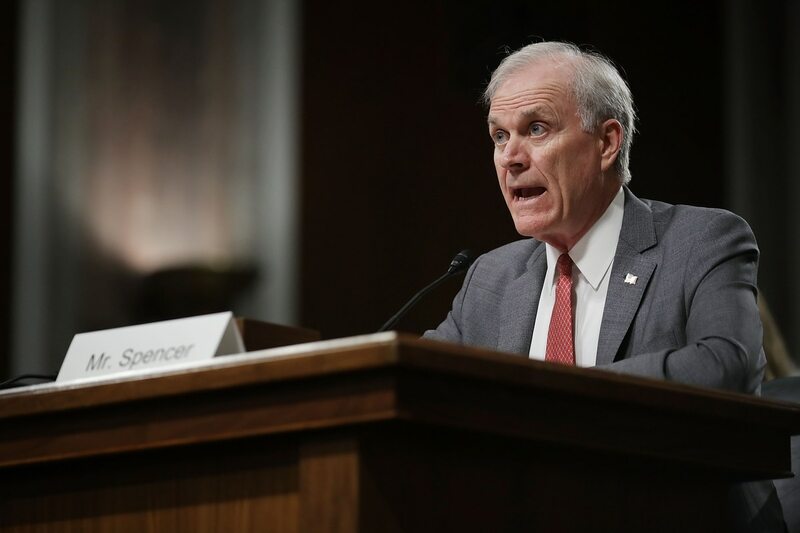 When asked about the 355-ship fleet, Spencer told the Senate Armed Services Committee that he was looking to deliver the capabilities of a 355-ship Navy but that they might be able to do that with fewer ships. “What I will tell you is that whether it’s a 355-ship or not, what we also want to get our head around is, can we have a capacity number but have a capability that’s even greater than that, so have the capability of a 355 that might be a 300-ship Navy,” Spencer said. Spencer’s tone, however, reflects the realities of a military constrained by mandatory budget cuts imposed under the Budget Control Act, which would make a major shipbuilding effort all but impossible unless Congress repeals the law. Lord stepped down from her role as Textron Systems CEO as soon as her nomination for AT&L was announced. She is the first woman to be undersecretary of defense for acquisition, technology and logistics — and the final person to wield that title. AT&L is set to devolve into two new entities come Feb. 1. The first, the undersecretary of research and engineering, or R&E, would focus primarily on developing new concepts and technology, while the undersecretary of acquisition and sustainment, or A&S, would focus on keeping current acquisition programs on track. A major part of Lord’s job will be overseeing that split and finalizing what offices will go to which undersecretary. Come February, she is expected to be reconfirmed easily for the A&S job. The list of new confirmations also included Robert Daigle as director of defense cost assessment and program evaluation; Matthew Donovan as under secretary of the Air Force; Elaine McCusker as principal deputy under secretary of defense; and Ryan McCarthy as under secretary of the Army. McCarthy is a former Army Ranger, staffer for former Secretary of Defense Bob Gates, and now a vice president for Lockheed Martin, the world's largest defense contractor. McCarthy served a variety of jobs with Lockheed, including time on the F-35 joint strike fighter program. While in the Pentagon, he carved out a reputation as one of Gates’ operatives inside the Pentagon, with a former defense official describing McCarthy as an ”enforcer” for Gates’ policies. David Larter in Washington contributed to this report. Why has this Trump pick for the DoD been blocked for 11 weeks?